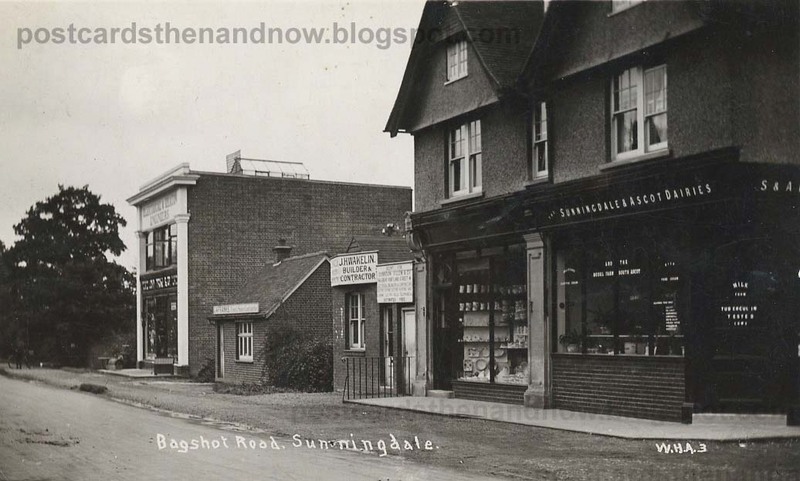 The caption says 'Bagshot Road, Sunningdale', but this is now in London Road. 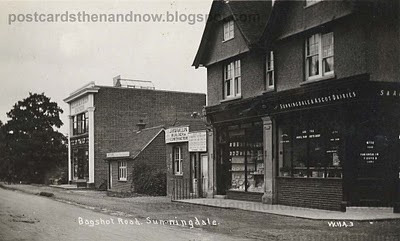 I'm not sure if this road was originally called Bagshot Road or if the postcard publisher made a mistake, they frequently did. The building at the end is now a Rolls Royce car showroom. Obviously quite an upmarket area. Postcard published by W. H. Applebee.